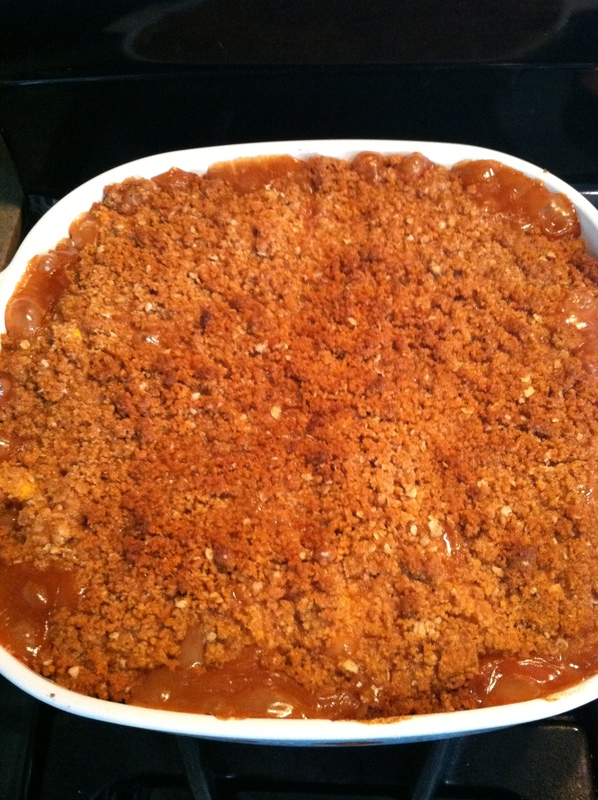 Peach Crisp – A yummy summer treat. 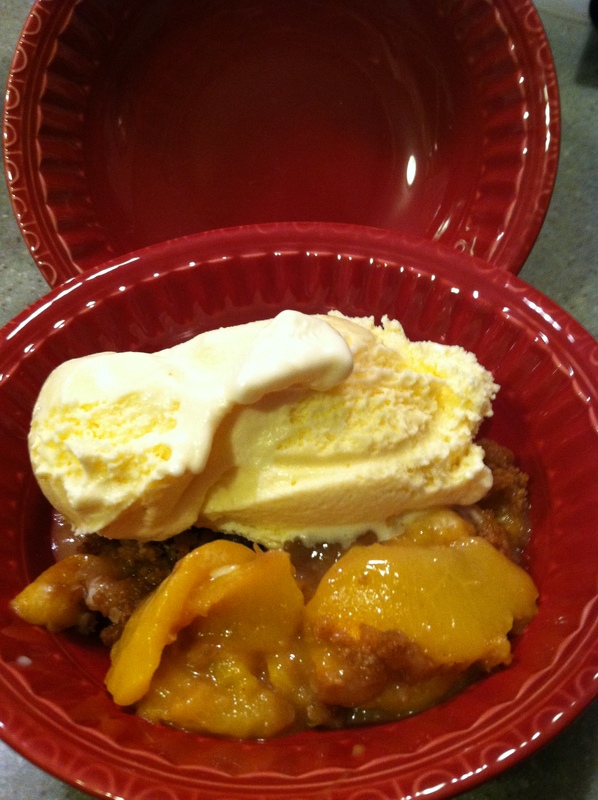 Last week while Travel Man was home I made a Peach Crisp with fresh peaches of course. This is a nice treat for my Travel Guy, as he really misses the home cooked meals when he is on the road. I saw the recipe on my Facebook news, and it was a post from recipe.com. This was a really delicious dessert. A yummy summertime treat. And just a little bit different because the crumbliness has graham crackers in it, and not so much oatmeal. That made the crunchy crustiness extra yummy. 2) For the filling; in a bowl stir together sugar, the 2 Tbsp. flour, and 1 tsp. cinnamon. Add peaches and toss to coat. If you are using fresh peaches peel and slice the peaches first, and then coat with this mixture. 3) Spread the peaches in a 2-quart rectangular baking dish. Drizzle honey over peaches and set aside. 4) For the topping; in a bowl stir together crushed graham crackers, brown sugar, 1/3 c. flour, oatmeal, and 1/4 tsp. cinnamon. 5) Using a pastry blender, cut in the butter until the mixture resembles coarse crumbs. 6) Sprinkle topping evenly over the peach mixture. 7) Bake, uncovered, for 40 to 45 minutes or until topping is golden brown. 8) Serve warm with you favorite vanilla ice cream on top. Makes 8 servings. Now go to the store or your favorite farmer’s market, get your peaches, and get your crisp on. A nice summertime treat. Enjoy! It definitely was a great summertime treat. Thanks for stopping by.